The Book of Mormon, ladies and gentlemen, is the best book on the planet. A week full of service, study, and an investigator with a satanist boyfriend. Yup, Janeth (awesome 19-year old investigator with a lip ring and a wacko but awesome 50-year-old mom) has a boyfriend who’s, from what we’ve heard, absolutely satanist. Satanism in Mexico is popular, more or less – it’s nothing cultish that would make you puke, just emo teenagers all over Mexico. Kinda weird. Makes a 6 foot 2 “Güero” (white boy) look even crazier or out of place. Aside from teaching the investigators we already have, we had a blast serving our bums off setting up chairs for, playing with and taking care of kids for, and serving food for the sister members in our stake for the women’s stake conference, which lasted friday afternoon to saturday night. We served food for three meals, my pants got super dirty. And then to top it all off, saturday night was a talent show, and Elder Zarate got to show his excellent guitar skills to accompany some hermanas to sing “Sabor a Mi,” a bossa nova-ish Bolero song, basically a classic handsome love guitar song from Mexico. Dreamy. I got to hold the microphone, like a champ. My singing skills are known but not really asked for, that’s fine by me. I get to practice hymns on piano often, I’m at about 7 or so. I’m working on having 10 hymns down. I love to play hymns, just to let you know. I learn them fast, the Spirit helps a lot. I mention it a lot, but I feel the Holy Ghost in so many things I do. 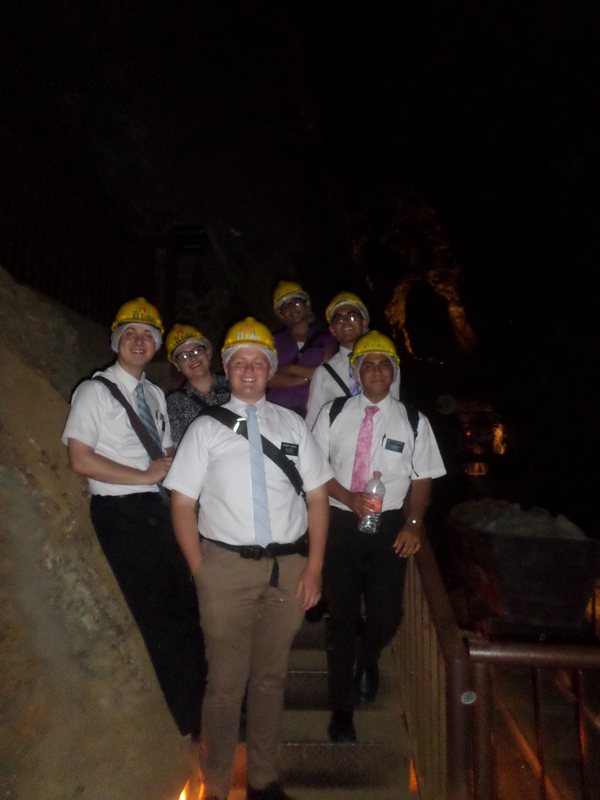 I felt it a ton today, when we toured the Mine “El Edén” again for me, my first time on my third week or so. I didn’t understand anything from the tour guide my first time, but today I understood a huge amount! At least half of a quickly-speaking tour guide. Understanding Spanish makes living in Mexico even better. I felt a surety of the progress I’ve made in Spanish all today specifically, realizing that I’m speaking Spanish without thinking about each word, and realizing the impact I can continue to make with a better understanding. I started on the 6th of May, and I’m already on 1 Nefi 13. I have learned so much about Christ and his nature, his servants, how revelation works, and how much He loves me. I feel a pure peace when I open those paperback pages. 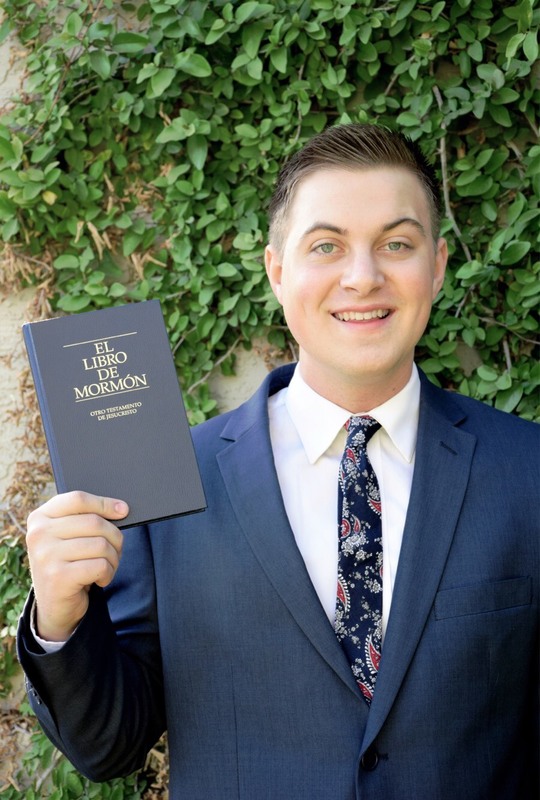 I feel my Spanish strengthening in all that I do through the book that proves that Joseph Smith was and is a prophet, and that the Church is true. But don’t send a letter to space just yet, I haven’t had THE DREAM or the “snap” moment of “Oh, I know Spanish.” They’re on the way, I feel them coming. I replied to JD and Kay in Spanish in our little emails, I can do that now! Speaking of, KAY’S PREGNANT! She’s going to be the best mom for Charlie V. At least, that’s what we’re hoping, a boy. He’s gotta be cool for him to be counted as my first nephew. I won’t meet him until he’s at least 1, though. Thanks for all the love! I find that I have too many things to pray for, sometimes I need to pause because my knees hurt and pray sitting up. 1-2. The mine today! Yes, my pants are huge. 3-4. 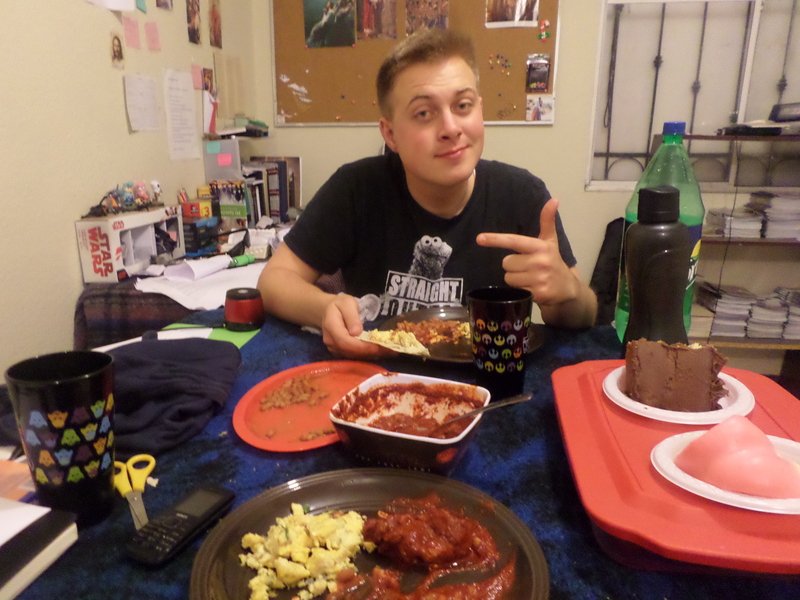 Eggs we made and Salsa-beans from a member. We don’t hardly ever use forks, just tortillas with this kind of food. Reminds me of the chopstick buds I have out on missions.